If you know a Mum who loves nothing more than relaxing with a well deserved cup of tea, then the Mum's Emergency Tea Break Kit is just the ticket. 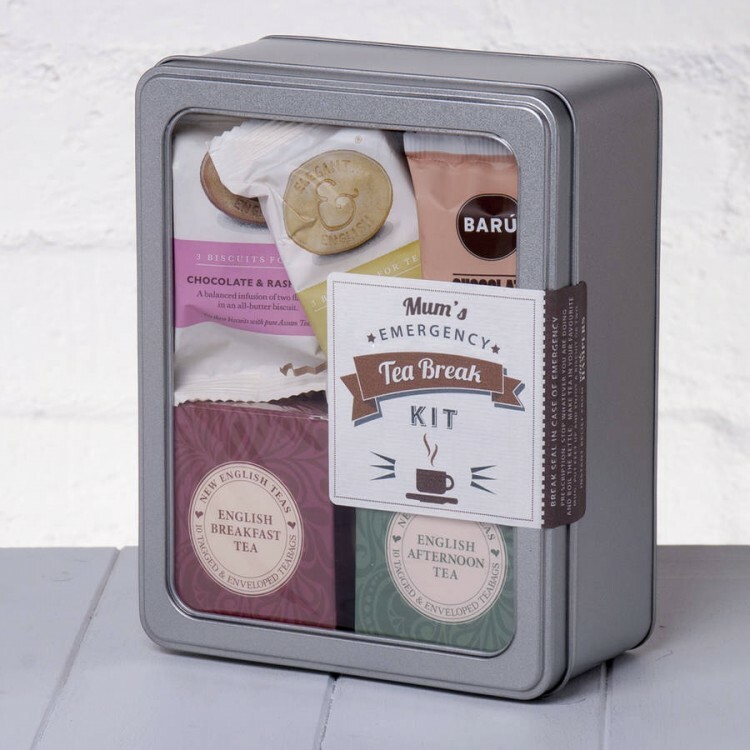 Ideal for Mother's Day, Birthdays, Christmas or just to show how much she is appreciated, this 'Tea Break in a Tin' is certain to bring a smile to a special Mum's face when she opens it. 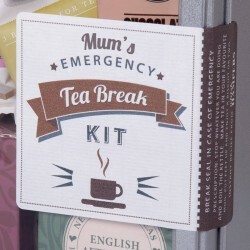 This brilliant kit contains all she needs to enjoy a relaxing Tea Break and a bit of 'me-time'. 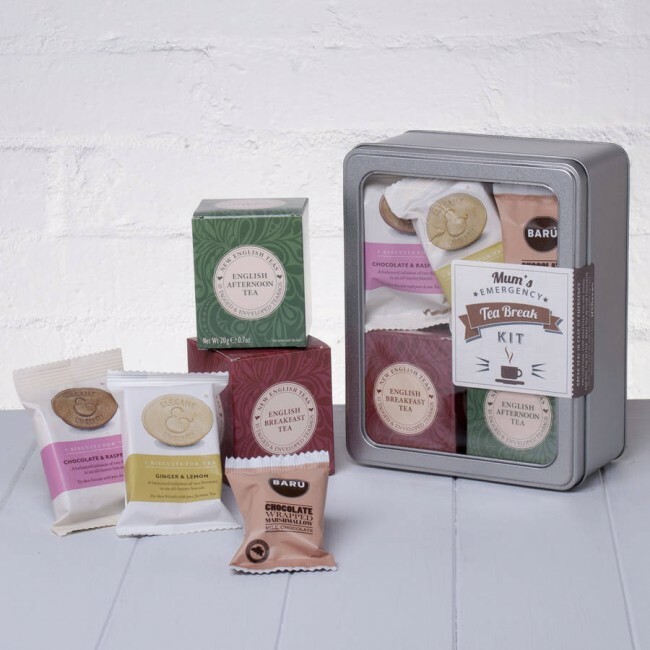 We have procured (and tasted - of course) the best treats for tea time, starting with two types of tea (English Breakfast & English Afternoon) and combining them with some delicious biscuits and a chocolate marshmallow to complete the tea trove of goodies! Presented in a stylish window tin lined with coloured shred and finished with a 'Break Seal in Case of Emergency' label it's a ready to give gift. 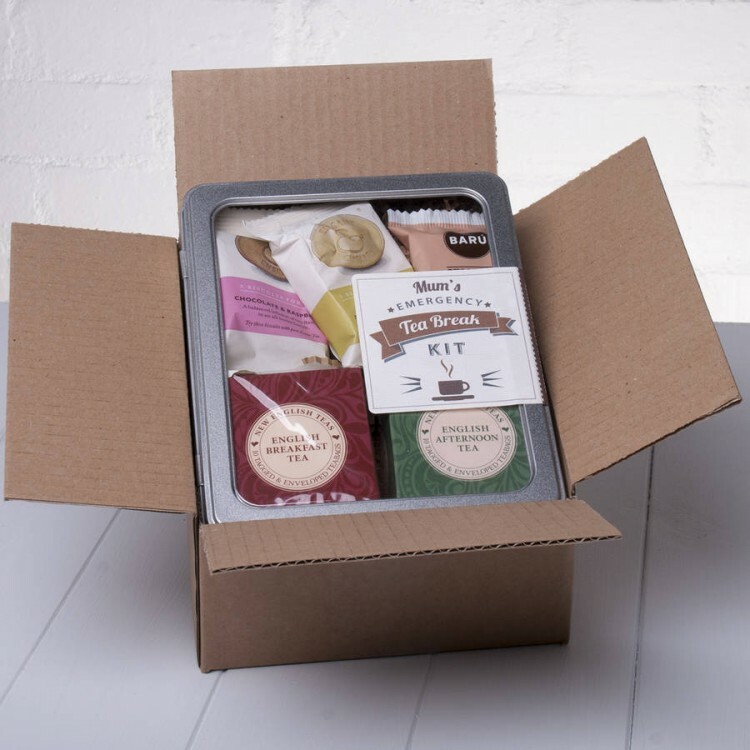 You can even add your very own personal message and specify delivery direct to the lucky Mum.